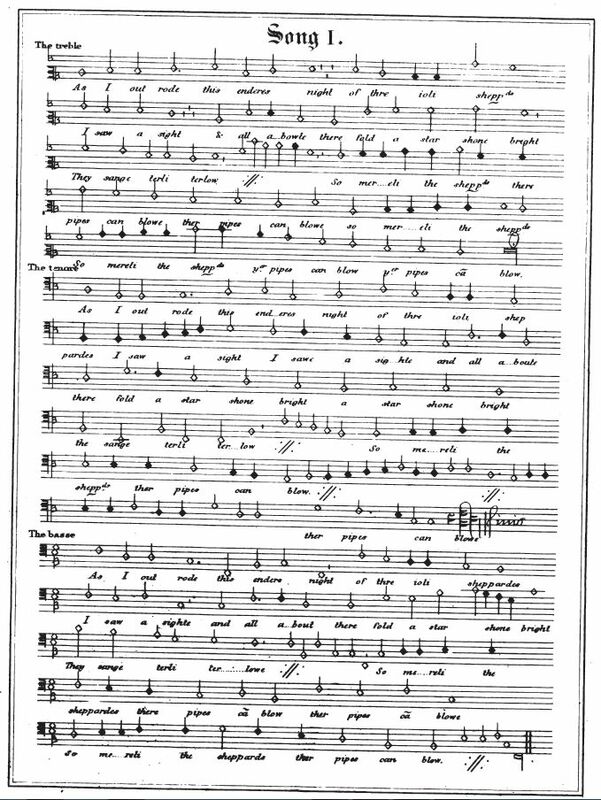 Source: Edith Rickert, Ancient English Christmas Carols: 1400-1700 (London: Chatto & Windus, 1914), p. 99, which she notes is from The Pageant of the Shearmen and Tailors, Coventry Corpus Christi Plays. So merrily the shepherds their pipes gan blow. 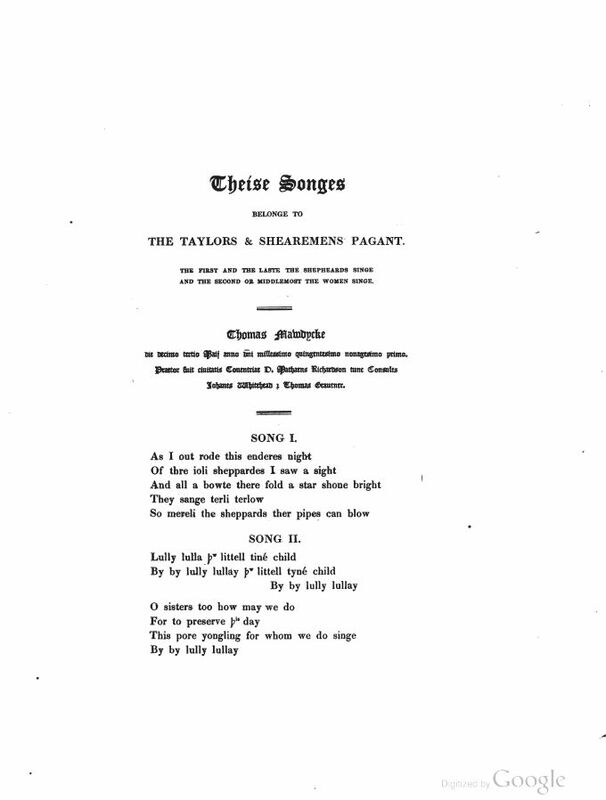 Text and Sheet Music from Thomas Sharp, A Dissertation on the Pageants or Dramatic Mysteries Anciently Performed at Coventry. (Coventry: Merridew and Son, 1825), pp. 113-114. So mereili the sheppards ther pipes can blow. So mereli the sheppards þer pipes cã blow. As we can see, in the "Pageant of the Shearmen and Tailors," verse 1 was originally Carol 1, and verse 2 was originally Carol 3. 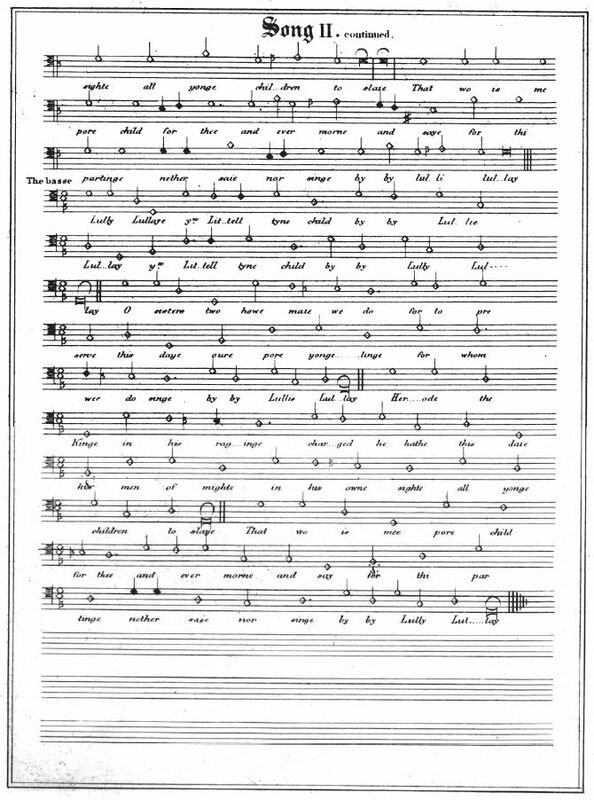 Carol 2 begins "Lully lulla þw littell tiné child." 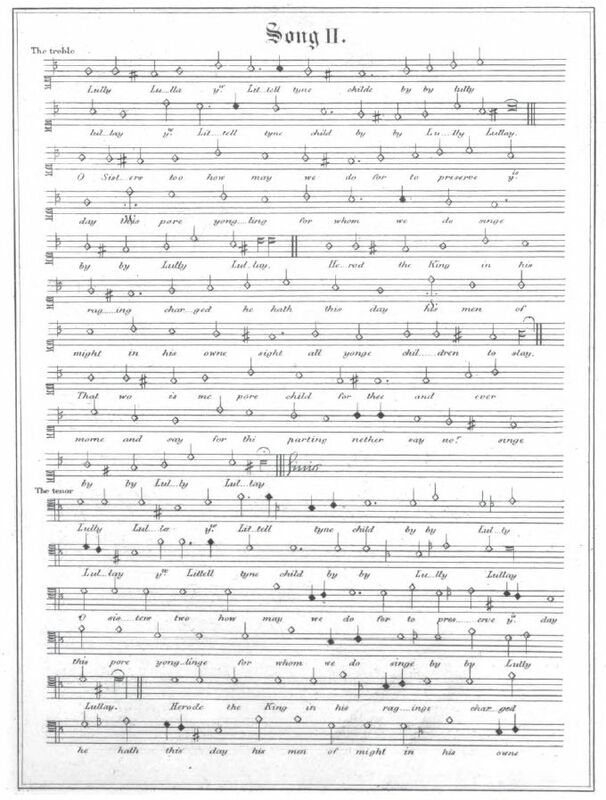 See: The Coventry Carol (Sharp, 1817), and Notes to The Coventry Carol.
" 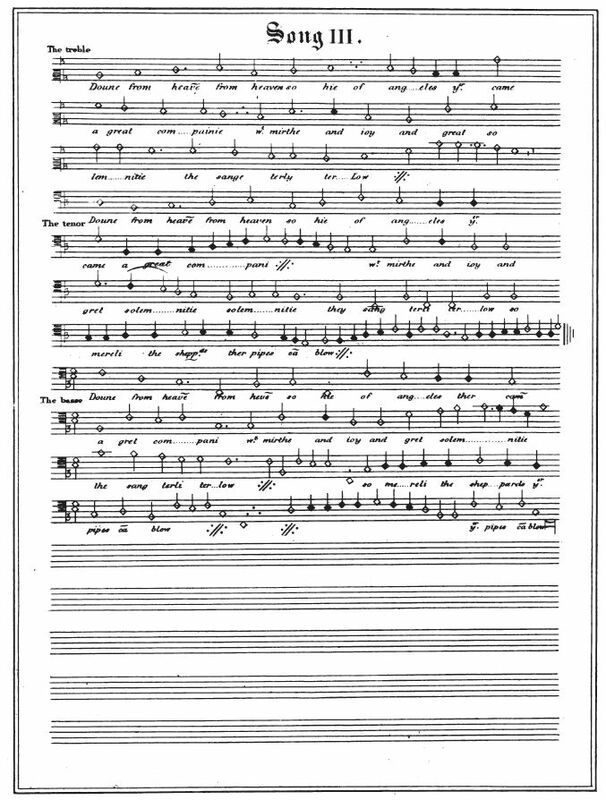 As I out rode this enderes night " " Lully, lulla, thou littell tine childe " " Doune from heaven, from heaven so hie "
"Apparently, this is only another version of the preceding." 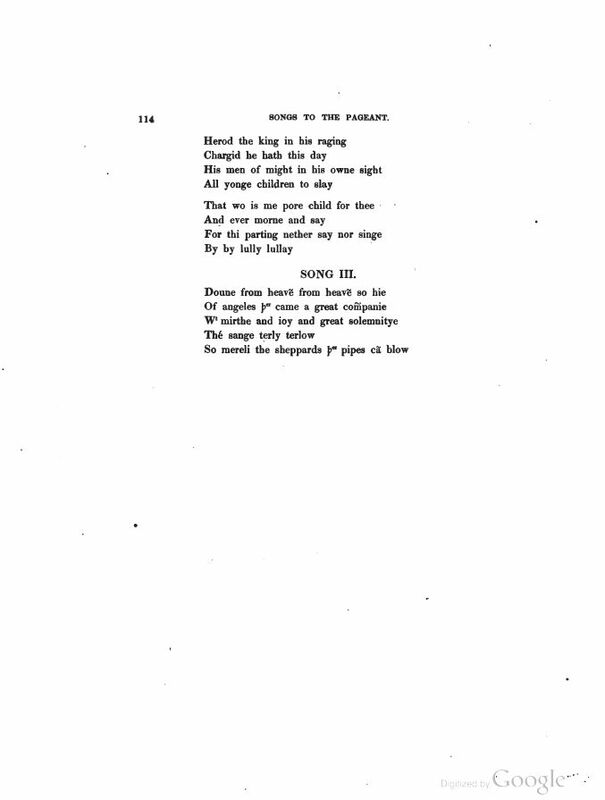 (Tyrle, tyrlow, tyrle, tyrlow - "About the field they piped right..."), p. 96. ... in one of the Coventry pageants there is the following old song sung by the shepherds at the birth of Christ, which is further remarkable for its use of the very uncommon word endenes, from the Saxon endenehes, the last. So mereli the sheppards there pipes can blow." Francis Douce, Illustrations of Shakespeare, and of Ancient Manners. A New Edition. (London: Thomas Tegg, 1839), p. 217. Please note that Douce's reproduction of the Saxon word "endenehes" used characters that are not included in this font.